Rising Ghanaian actress, Efia Odo has revealed the reason she is not at home with bras. According to her, impressing any man by wearing bras to make her small breasts look big is not one of her concerns. 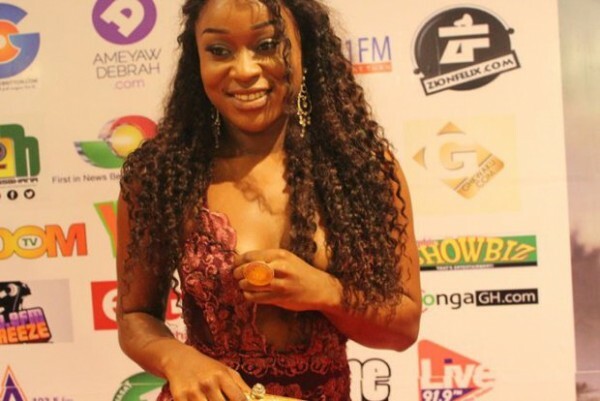 ‘My breasts are small so what’s the point of wearing a bra?’ Efia told eTV Ghana’s Late Night Celebrity Show with Giovanni. She added: ‘I will like the men to know what they are going to get should they approach. I don’t want to wear push up bras and shifting things and pushing things just to impress. While she might be new, the budding actress known in private life as Andrea Owusu, is already making the headlines as she continues to be romantically linked to Nigerian pop star, Iyanya.